Food Fight! /Hawks Aloft Inc. Right on schedule, around the first of July, Rufous Hummingbirds arrived in Albuquerque. If you have a feeder in your yard, you know how zealously (and jealously) they guard it. 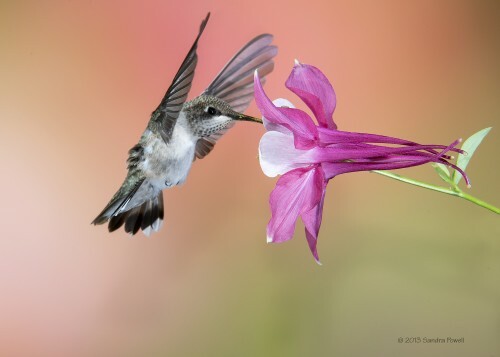 Hummingbirds are found only in the Americas. The Spanish conquistadores called them “Joyas Voladores” or Flying Jewels. Among birds, they are unique in being able to fly backwards. 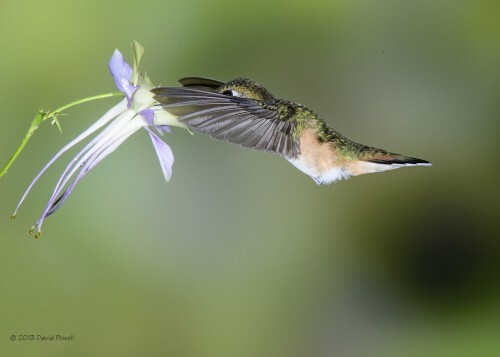 In the animal kingdom, only insects have a higher metabolic rate than hummingbirds in flight. The high rate is necessary to support the rapid beating of their wings. 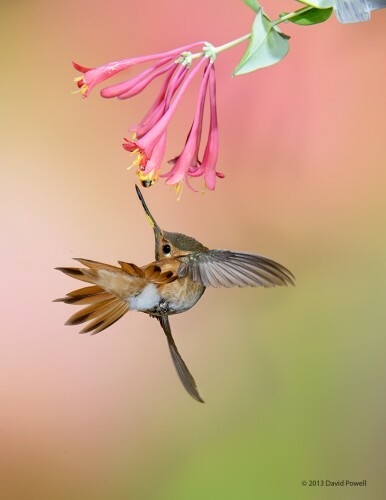 Hummingbirds nest throughout the Americas, but mostly in the tropical and sub-tropical regions. The Rufous Hummingbird nests further north than any other hummingbird, with some nesting as far north as Alaska. Rufous also are unusual in that they have a different migration path in spring (along the Pacific Coast) than in winter (through the Central Rocky Mountain region, including through New Mexico.) They winter over in Mexico. Many thanks to David Powell for these amazing close-up photographs of hummingbirds.